Adelaide-based small publisher Wakefield Press will launch a dedicated YA list this year, under the direction of newly appointed publisher Margot Lloyd. 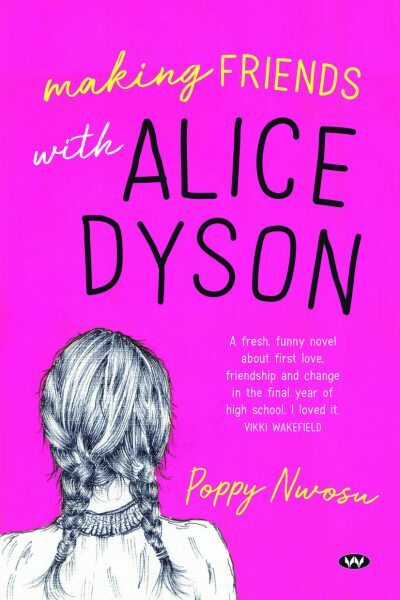 Wakefield aims to publish three to four YA books per year to start with, beginning with the March 2019 publication of Poppy Nwosu’s Making Friends with Alice Dyson. The new list is a result of the small press’ involvement with the Adelaide Festival’s biennial unpublished manuscript award. Lloyd has been a regular judge of the award, which offers publication by Wakefield Press plus $10,000 to the winning writer. Publication of Charlie Archbold’s Mallee Boys, which was a 2018 CBCA Honour book, came about through the 2016 award, and Nwosu was shortlisted for the same award in 2018. ‘We’re looking for those stories that grab you by the short and curlies. Stories that might not get a look-in with other publishers, whether because they’re unconventional, or because they require some work to get to the finish line,’ said Lloyd. Wakefield is currently accepting YA submissions. For more information about submissions, see the website.